It’s nearly impossible to watch a Caps game without beer. Well, OK. It’s nearly impossible for ONE of us to watch a Caps game without beer. 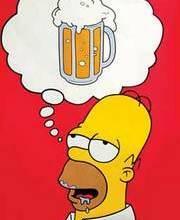 (HAHA, Doug like beer!) And judging from the number of people willing to flush $8 away for swill at Verizon, we’re not alone. 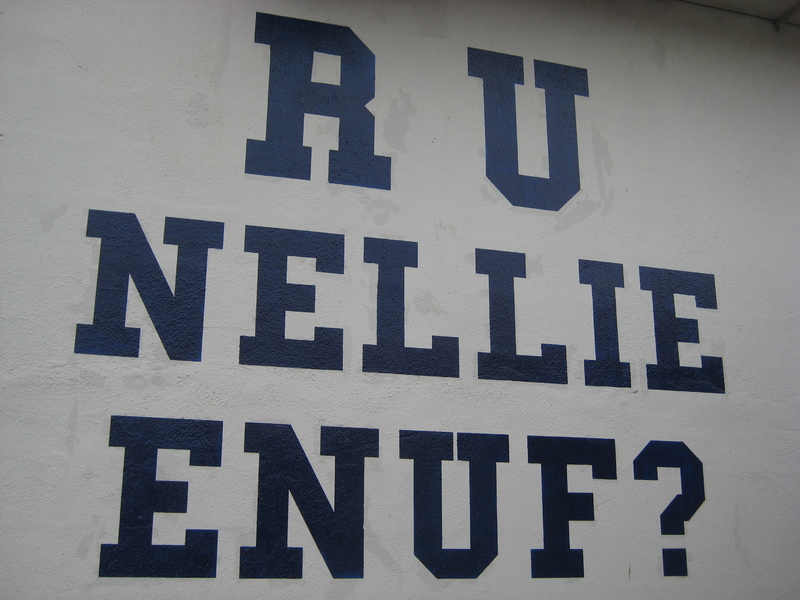 So it was an epic face-palm moment for us when we first put this equation together: Hockey + beer + gay = Nellie’s. What took us so long? 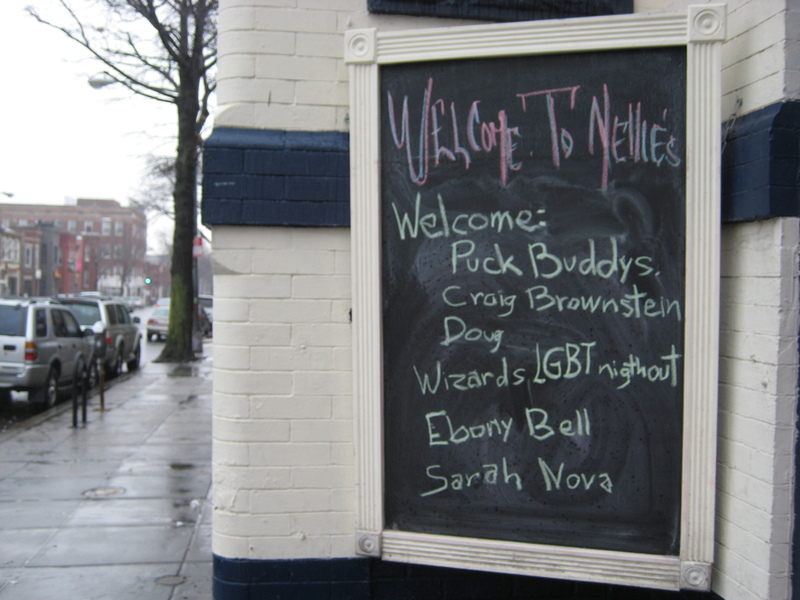 For those tragically unaware, Nellie’s is Washington’s first gay sports bar. (Or…you know…first ‘official’ sports bar. I mean have you seen the crowd at the First Down? Yeesh.) It’s locally owned, welcoming of fanboys gay and straight, and run by Doug Schantz – a class-act who’s built a real neighborhood spot you genuinely want to hang out at. Schantz loved the idea of partnering in some form with us’uns, and agreed to have his #2 create some Caps-inspired drinks. In turn, PuckBuddys next season aims to partner with Nellie’s for a Caps Night Out (Red, Meet Pink!) and in what’s left of the season will be holding several Caps viewing parties at Nellie’s. All we had to do was test the drinks. Oh, twist our arm. A recent Saturday noon found the Nellie’s staff restocking from last night and prepping for the weekend crush, and the seats mostly empty. At the bar we found one of Nellie’s original employees and now manager Matt Gillette (who just may be the best a man can get.) Matty’s a sports fan, a performer, and knows his way around a cocktail shaker. Ahem. Here’s his Caps creations – and the names and recipes as best we can remember. We had to do a lot of tasting to get it right. 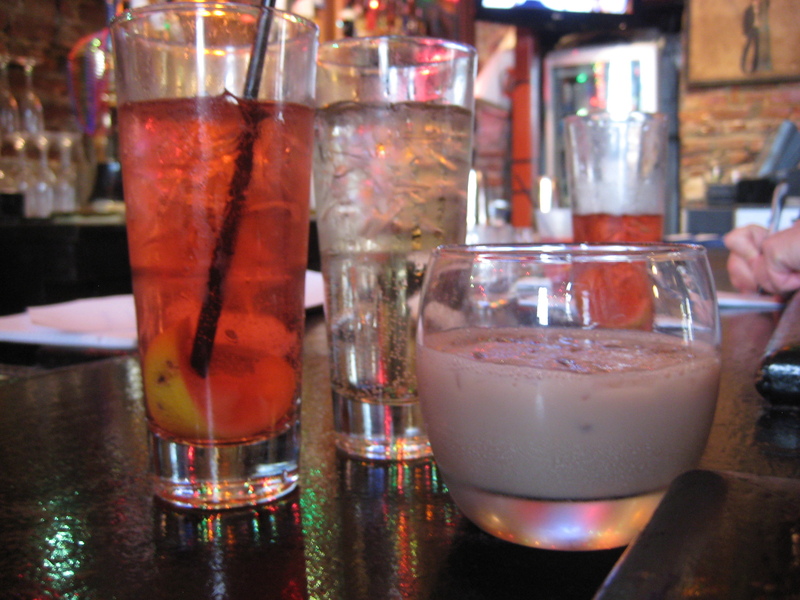 #1 – The Ovechtrick: in shaker with ice add 1pour Stoli Raspberry, 1pour Bailey’s Irish, some Patron Cafe, Creme de Cacao and hit of Chambourd. A really great warmer that makes a White Russian actually tasty. 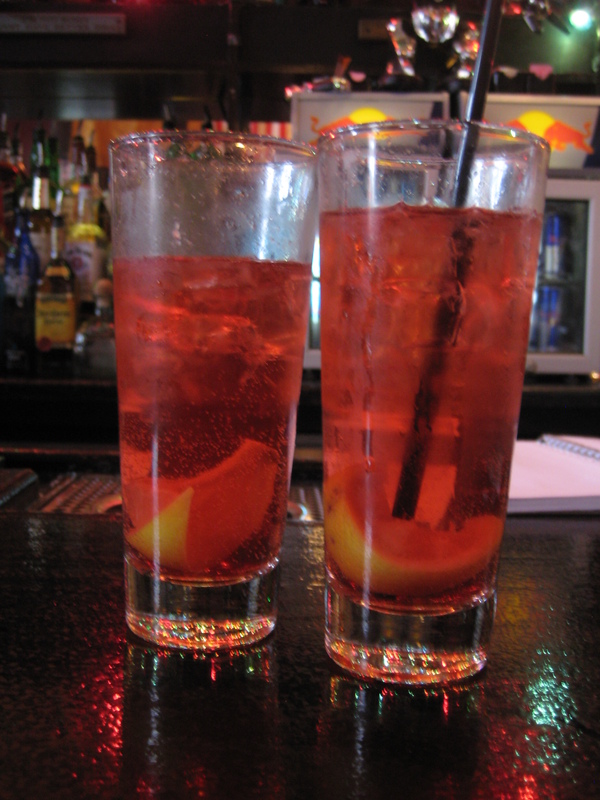 #2 – The Nicky 19: in tall glass w/ice and lemon, 4 counts Absolut Ruby, 1pour St. Germain (really tasty elder flower essence), splash of soda and cranberry juice. This is going to be lethally good on a Spring afternoon or Summer evening. Mmm, gonna have to taste that Ovechtrick and Nicky 19 back to back…just to make sure. 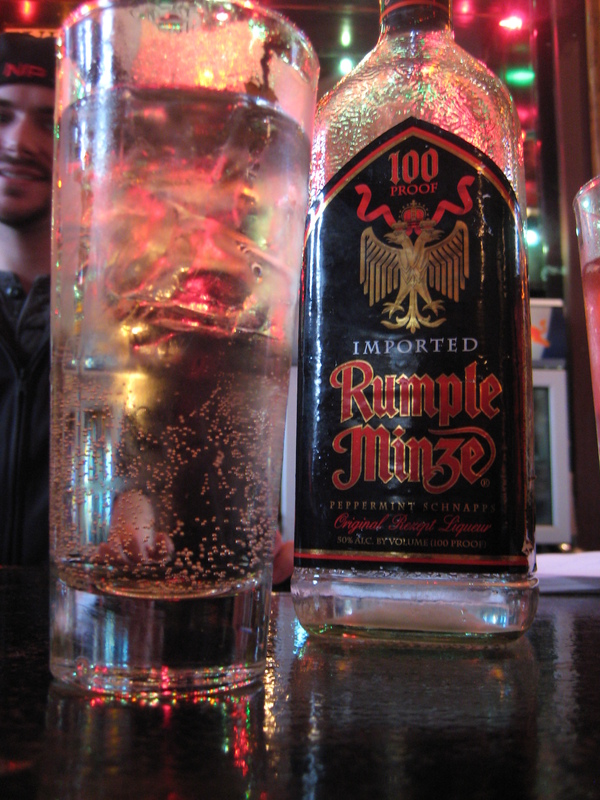 #3: The Mikey G: in shaker with ice add…um, some…Captain Morgan’s, we think, some…more?…Rumple Minze, splash of, what, is that like 7-Up, and…uh, where are we again? This is a spicy, minty kick in the pants that somehow doesn’t taste of rum at all. So next time the Caps are out of town, and you feel like a good beer – or something with a bit more oompah – head to Nellie’s. We’re in and out – and plan on gathering for a Caps viewing on Friday, March 18, 7pm. Caps v. Devils – some whompin’ an’ a stompin’. We’ll be the two guys…one with a beer. Or a drink. This entry was posted in Uncategorized and tagged Caps Night Out, how come all bartenders are cute?, Nellie's. Bookmark the permalink. 7 Responses to Party Time! We hear ya. A Sasha Slushie is next, but we wanted to be geographically diverse with the first round of Caps Cocktails. Yeah, really. I mean no drink for Semin? I mean … hello? He’d be the pinkest by far. And for the record: I would like to buy the first Semin Slushie. Please. 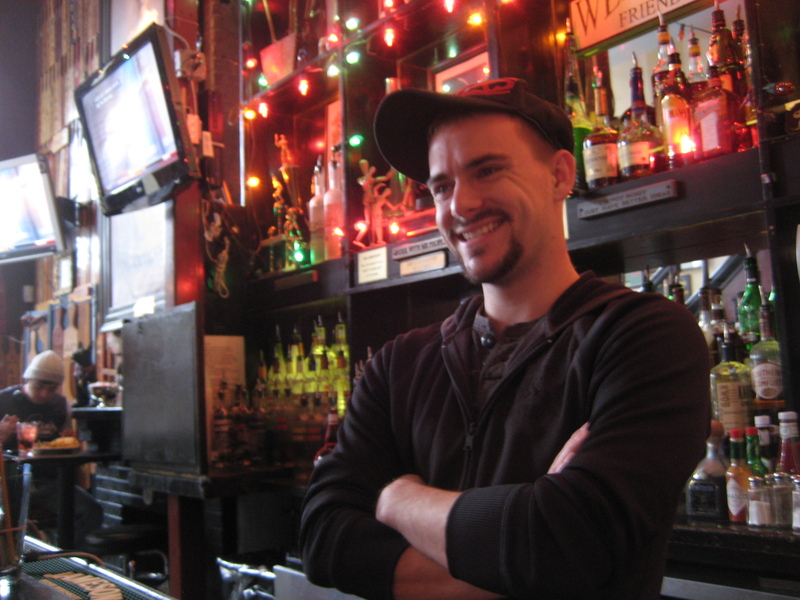 Jeremy – The first round is on us if you want to stop by Nellie’s on March 18 for the Devils game. There’s another Sasha cocktail in the pipeline and we’ll see if Matty can make it work: Semin and Seven.